We are extremely excited about this article because it is right up our alley and it’s very trendy. You might already know what we are hinting about, it is, of course, the farm house trend phenomenon! 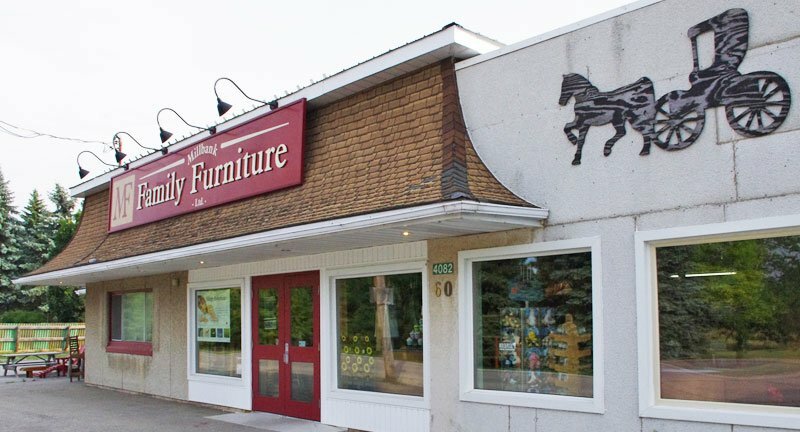 We are big fans because most of our furniture will thrive in a farmhouse setting, and what is most exciting, we have a lot of styles to choose from! In this article, we’ll talk about one way to style your farm house, but as you know, the possibilities are endless. Below you’ll find a variety of styling tips for a beautiful modern farm house, we love this combination because it’s somewhat timeless with a modern twist. First of, when we think of farm house’s, we think of wood! Wood is an essential part of this decor. We like to mix and match different shades of wood to create contrast and continuity in our homes. For example, from the dining room to the living room, we like to connect the two rooms in a subtle way. Combine this stunning dining table with this elegant white coffee table, both tables have similar design features but combining the different shades of wood creates a unique blend and versatility in your home. 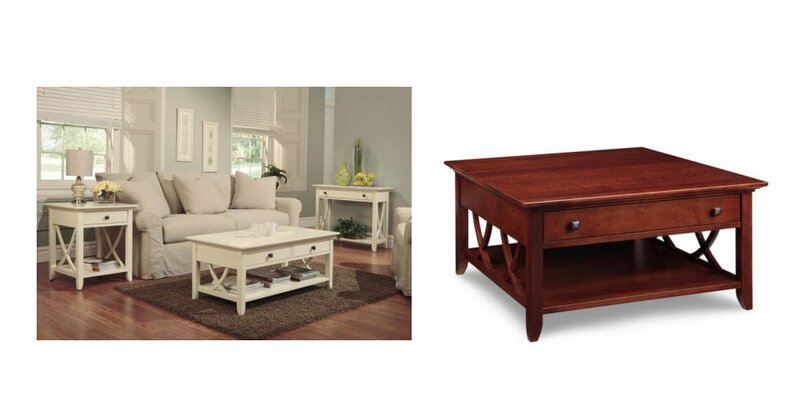 And of course, these two pieces stand out in a farmhouse decor. The farm house decor is very organic and nature like, hence the wood furniture pieces. To elevate your decor and bring a modern twist to your space, add a few beautiful indoor plants in simple pots. The combination of greenery and wood is stunning and brings the room serenity. To make it more modern, focus on a combination of simple pots that bring life to the room, you can play with nature like colours you already have in the room and add a few pops of jewel tone colours. As for indoor plants, we always recommend the snake plant. It’s very modern looking and trendy, plus it’s low maintenance and thrives in whatever environment you place it in. Not to mention the health benefits of the snake plant, this plant actually improves air quality! 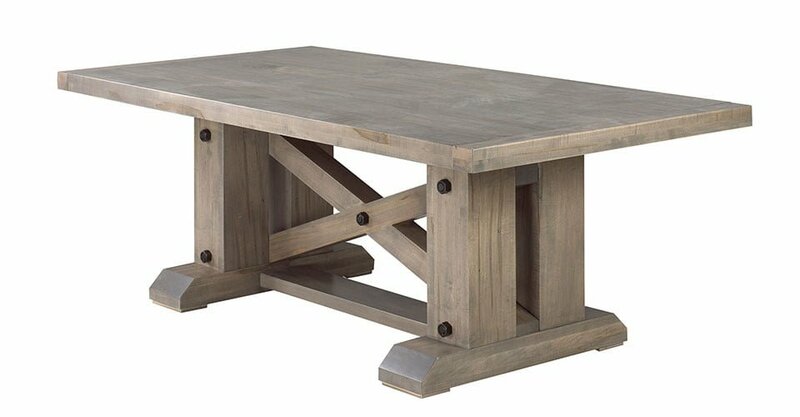 Adding your touch of rustic details will bring everything together. We love adding simple touches such as beautiful vintage chandeliers, it’s a simple way to decorate your space without making it feel crowded. Great lightning in a home is always an advantage, whether you have lots of windows or lights, light makes a space more comfortable, breathable and organic. With that being said, putting together a modern farmhouse is quite simple. If you’re a big fan of simplicity and organic designs, this is the style for you. What we also love about this specific decor, is that you can always stay creative and add different colour schemes throughout the year. We hope you enjoyed this article, and always feel free to drop by our shop and say hi!